Best of the week: all the news and reviews 24.08.13 | What Hi-Fi? 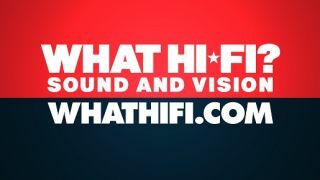 This week on whathifi.com we reported on Monitor Audio's entrance into the soundbar sector, we heard rumours on a possible launch date for Apple's iTunes radio service, and there was news on ATC's new HiFi Series speakers. Reviews this week included a look at a 32in Samsung television, a radio from Philips and an AV receiver from Harman Kardon. Hot on the heels of our look at premium soundbars in the last issue, Monitor Audio has announced its first soundbar, the ASB-2. Due to go on sale in September for a hefty £1000, the ASB-2 will be able to handle sound from TVs, Blu-ray/DVD players, set-top boxes, games consoles and probably every other box under the sun through its three HDMI inputs. Streaming connectivity is available with DLNA, UPnP and AirPlay compatibility. Hopefully we'll have a review of this soundbar in the coming months. Not to be outdone, Onkyo has announced not one, not two, but three soundbar models. The Onkyo LS-B40 (£299) will be available in October; the LS-B50 with 40W wireless subwoofer (£449) and the LS-T10 TV speaker system (£349) will both be available at the end of September. For those who prefer a wireless streaming experience, connectivity with smartphones, tablets and PCs is catered for via built-in Bluetooth, with USB ports allowing for connection of flash-memory media players. iTunes Radio was announced a few months ago and since then its all gone a bit quiet. However, recent news suggests that a release in the month of September could be the moment that Apple unleashes its Spotify-like rival. According to advertising agency AdAge, several major companies, including McDonalds, Pepsi and Nissan, have signed up for a 12-month ad campaign to run with the streaming service around that time. There's still no word on a UK release date, but expectations are it will come over here out soon after its US release. More hi-fi news arrives with speaker company ATC launching two new speakers, the SCM7 and SCM11. Designed for small to medium-sized rooms, the SCM7 and SCM11 speakers are the company's most affordable models and the first in a new ATC HiFi Series. Due to go on sale in September, the third generation SCM7 speaker will cost £810, with the second-generation SCM11 costing £1200. We've had the pleasure of seeing some impressive Samsung sets this year, and the UE32F6400 keeps it up with another sterling effort. If you're looking for a smaller TV that can stream content and has up-to-date smart features, then this set should be high up on your list. Continuing on from our round-up of radios in the September issue, we took a look at Philips' effort, the Original Radio Mini. Not quite as 'mini' as the name implies, this retro styled clock left our test rooms having made a favourable impression. We expect a big, muscular sound from Harman Kardon products, and the AVR-171 AV receiver delivers that trademark HK style in spades. But does it have the subtlety and refinement to keep us interested once the shock and awe has faded?